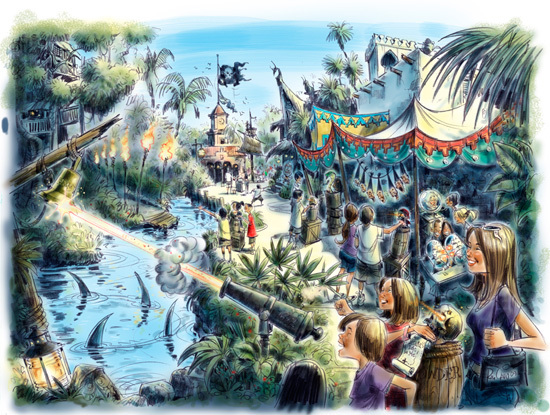 In A Pirate’s Adventure: Treasures of the Seven Seas, guests will use a pirate map and magic talisman to help them complete five different pirate raids throughout Adventureland. The goal is to help locate different Treasures of the Seven Seas and fight off pirate enemies like the Royal Navy and Captain Barbossa, among others. If guests help Captain Jack succeed in all the missions, they’ll be welcomed as part of his new crew. If not, they’ll face the wrath of the cruel sea – alone.